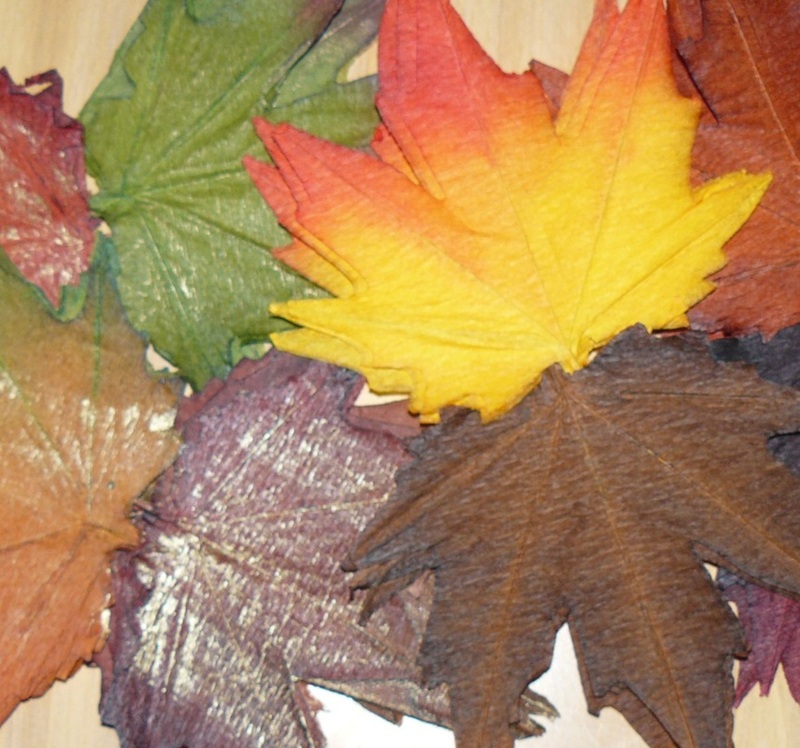 Celebrate the arrival of fall with a night themed around leaves. 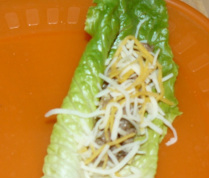 Cook taco filling of choice (beef, chicken, tofu, etc) – I highly suggest the Southern Living Lean Green Lettuce Tacos recipe. Bake in oven at 350 for 8-12 minutes. Watch to make sure they don’t burn. Optional: Cut up 1 apple/person. 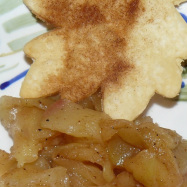 Combine in pot with cinnamon, dash of nutmeg, 1 Tbs sugar per apple and water/apple juice. Simmer 15-20 minutes. 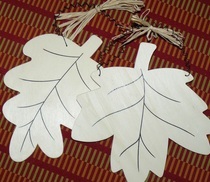 During the fall, most craft stores have little wooden ornaments you can color or paint. If the kids are too little to be helping in the kitchen, let them at the table with some colors/paint and let them create while you cook. 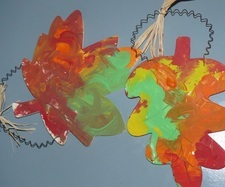 Walk around a park or your neighborhood to gather leaves. If you don't have any, use the template. 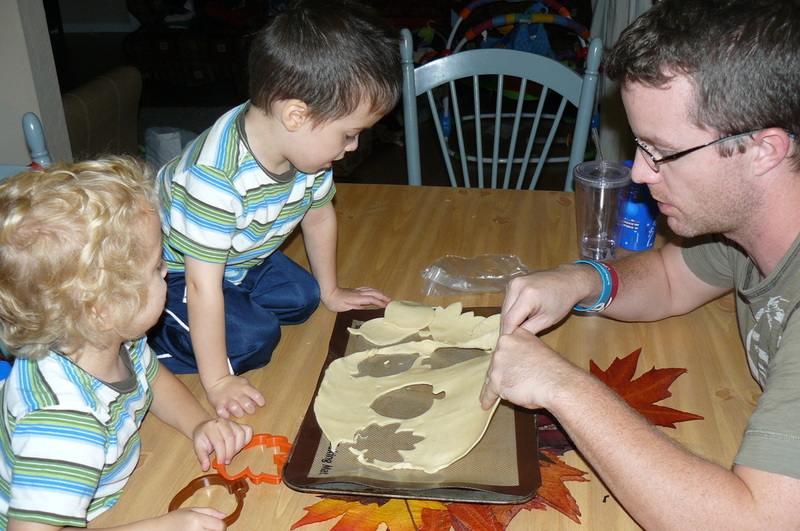 Leaf Placemat: Cut 2 pieces of contact paper (purchased at local dollar store or all-in-one store in the shelf liner aisle). Gather fall leaves from outside. 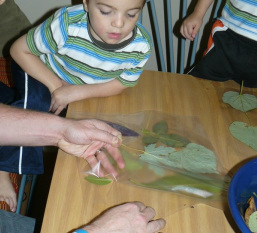 Unstick one sheet of contact paper and use collected leaves to stick onto the paper. 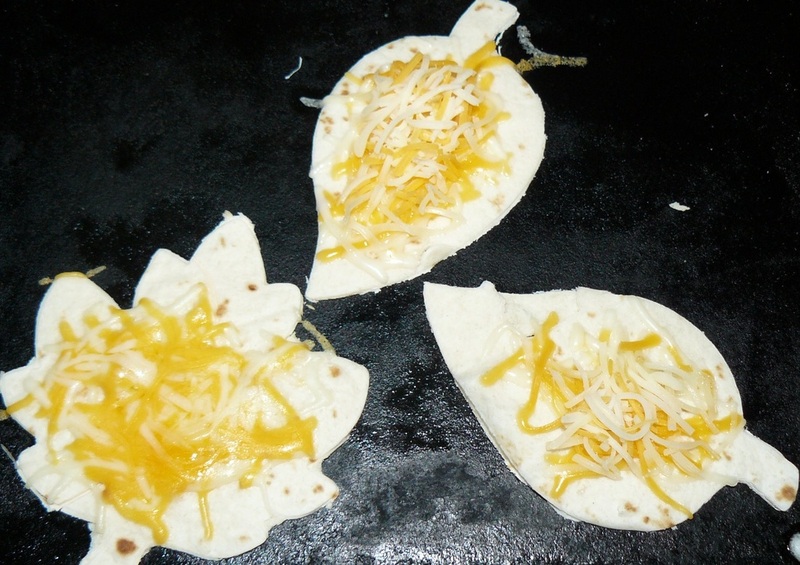 Unstick the second sheet and lay on top of first sheet, sandwiching the leafs. 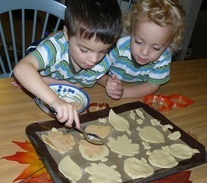 Leave as is or cut placemat into a leaf shape as well. On a piece of plain white paper, position leaves vein side up in a pattern that you find pleasing. 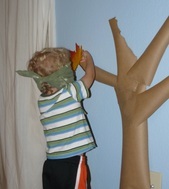 Lay another sheet of plain white paper over the top of the leaves. Select the crayons that you would like to use to create your rubbing and peel off the paper wrappers. 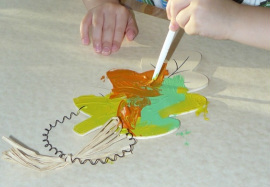 Turn crayon on its side and gently rub over the top sheet of paper. 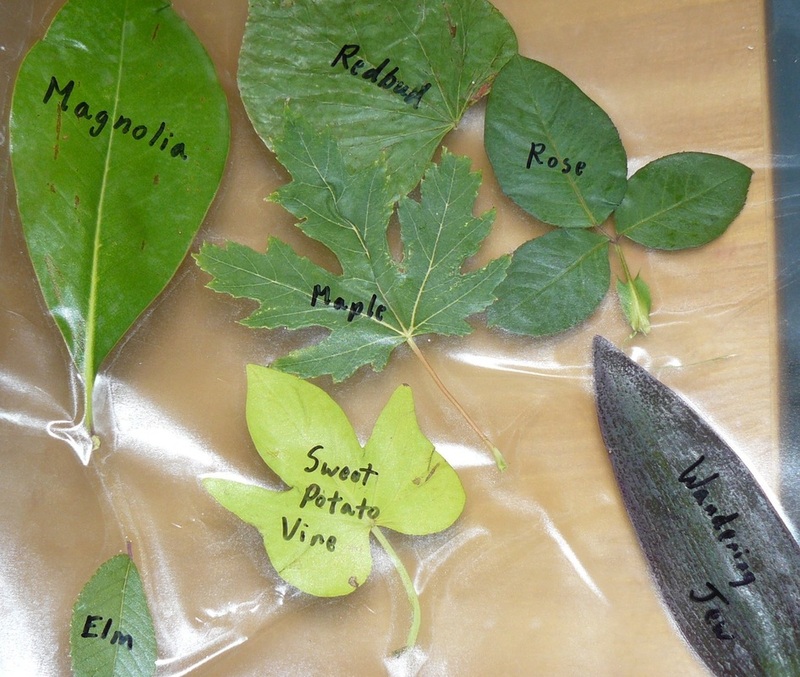 The leaf images will appear on the paper! Experiment with different colors and leaf arrangements. Alternate activity: If you have a lot of fallen leaves in your yard, use a rake to make a maze/path in the leaves and then time each family member from start to finish as they race through the maze.